Research Associate, Scott Polar Research Institute, and Partner, Cambridge Heritage Research Centre, University of Cambridge, United Kingdom. Bryan is a former curator of historic buildings (The Canterbury of University, NZ, Gothic-revival complex adapted into the Christchurch Arts Centre) and director of Ferrymead Heritage Park. Since 2008, he has been at the Scott Polar Research Institute, University of Cambridge where has curated exhibitions on Amundsen, Scott, Shackleton, Operation Deepfreeze I Art, the British Graham Land Expedition, and co-curated Frozen Worlds – an exhibition based on polar and Space exploration science. He is a research associate focussing on Antarctic heritage as it relates to international relations, science and the environment. He has served as the Chair of New Zealand /Te Mana O Nga Pouwhenua O Te Ao, is an expert member of the ICOMOS International Committee on Risk Preparedness (ICORP), and is developing ICOMOS’s engagement with Space heritage. As convenor of the IPHC Antarctic Archaeology Working Group, he is working with IPHC colleagues to develop a document that will help ensure that Antarctic archaeology is professional and enhances the concept of Antarctic as a continent of peace, science and environmental stewardship. ‘Scott’s and Shackleton’s Huts: Antarctic Heritage and International Relations’, his PhD thesis, examined the cultural contexts in which the Huts project has developed since the late-1950s and related this to the diplomatic dynamics between the New Zealand, the United Kingdom and the United States in Antarctica. Bryan is currently researching the events and values associated with the commemoration of the Ross Sea Party related to Shackleton’s epitaph, placed in Antarctica, and the subsequent relocation of this to the United Kingdom. He is also producing a history of the Scott Polar Research Institute’s museum collection of radio-echo sounding equipment. This will focus on its development, deployment and research outputs from the early-1960s until the mid-1980s. These two projects are linked to research on Antarctic heritage that is in-situ or ex-situ. 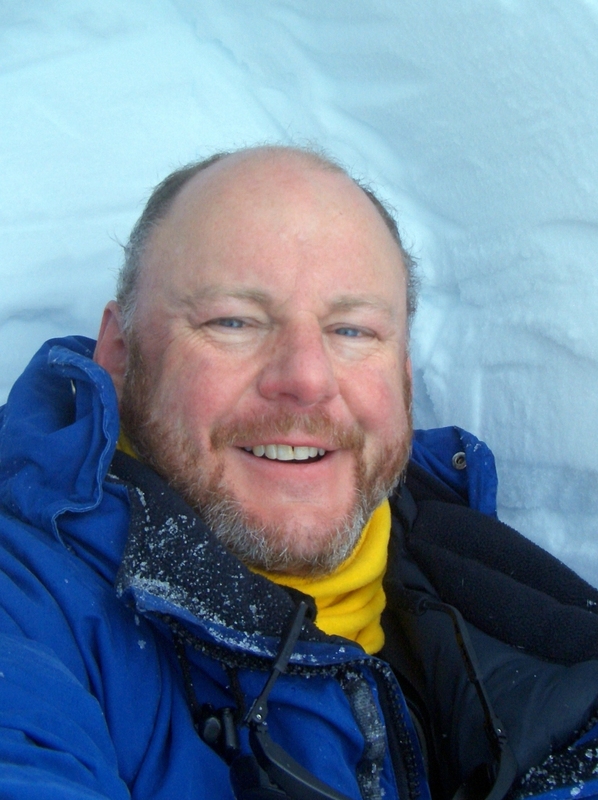 ‘Antarctica and Apollo’ – developing linkages between Antarctic and Space heritage – is an ongoing theme in his broader research interests with speeches given on this topic at Google, the Smithsonian National Air and Space Museum, ICOMOS UK and at the 2014 ICOMOS Triennial General Assembly. He is engaged with developing research projects related to the fifth anniversary of Apollo. In response to the Christchurch earthquakes, he examined how robots had been used and has reported on the successes that were achieved and considered the future of Heritage Responder Robotics (HeRRos) in disaster response. Bryan Lintott’s research focuses on how sites, structures and artefacts located in extreme environments beyond national boundaries, and ascribed heritage significance, are governed, managed, conserved and utilised. He has a specific interest in how the Antarctic Treaty System has incorporated heritage, a potentially divisive activity, within the Antarctic Treaty, a peace treaty. His research includes human heritage in Space, on the Moon, planets and asteroids. He is also engaged, academically and professionally, in developing methods and techniques to reduce the risks, through natural forces and human agency, to heritage. Air and Space history, Antarctica, Archaeology, Arctic, heritage, Mars, Moon, risk preparedness, robotics, remote sensing, Space. Lintott, B. 2018. [in preparation] Antarctic Heritage and International Relations: Commemorating the Ross Sea Party. Lintott, B. 2018. [in publication] Antarctica: Human Heritage on the Continent of Peace and Science. ICOMOS: Proceedings of the 2017 ICOMOS General Assembly. New Delhi: ICOMOS India. Lintott, B. 2016. Antarctica and Apollo: Heritage Horizons. ICOMOS: Proceedings of the 2014 ICOMOS General Assembly. Rome: ICOMOS Italy. Lintott, B. 2012. The Christchurch Earthquakes, 2010…: Reinforcing the relationships between Cultural Heritage Advocates and Government, Responders, Building Owners and the Community. Cultural Heritage Protection in Times of Risk: Challenges and Opportunities. Istanbul: Yildiz Technical University. Lintott, B. 2005. America’s Hard Heritage. Te Ara: Journal of Museums Aotearoa. Wellington: Museums Aotearoa. Nobes, D. B. Lintott. 2000. Rutherford’s “Old Tin Shed”: mapping the foundations of a Victorian-age lecture hall. Proceedings of the International Society for Optical Engineering. Vol. 4084, p. 887-892. DOI 10.1117/12.383534. Lintott, B. 2016. Centenary service of thanksgiving for the courage and endurance of Sir Ernest Shackleton CVO and his men. Westminster Abbey, London. Coordination of commemorative publication. Lintott, B. 2014. The Antarctic Treaty System and the Environmental Protocol: responding to the challenges posed by climate change to Antarctica’s human heritage. The Future of Polar Heritage. Environmental challenges in the face of climate change: detection and response. Copenhagen: National Museum of Denmark and ICOMOS: IPHC. Lintott, B. 2012. Captain Robert Falcon Scott CVO Royal Navy, 1868–1912. Association of Royal Navy Officers (ARNO) Annual Yearbook. London: ARNO. Lintott, B. 2012. Exploration, Sacrifice and Heroism. Scott Centenary Commemorative Service, 1912–2012. St Paul’s Cathedral, London. Coordination of commemorative publication and lead article. Lintott, B. 2011. The British Graham Land Expedition, 1934–37. Cambridge: Scott Polar Research Institute. Warren, Sir Miles. B. Lintott & P. Reed. 1998. The Arts Centre of Christchurch: Stonework Survey and Report. Christchurch, NZ: Arts Centre of Christchurch Trust. The Antarctica and Apollo Project. 2008. Google, Santa Monica. The Scott Polar Research Institute’s Polar Museum. International Polar Year Conference. Scott’s and Shackleton’s Huts; Ross Island, Antarctica: Heritage and International Relations. International Polar Year Conference. The Christchurch Earthquakes. University of York. The Central Intelligence Agency and Antarctica. SCAR, ‘Depths and Surfaces Conference’. Scott’s and Shackleton’s Antarctic Expeditions: Historical Science and how Contemporary Science Informs History. Smithsonian History Seminar on Contemporary Science and Technology. Antarctic Heritage: Cooperation and Conundrums. 2018. ISAC/SCAR Open Science Conference. Antarctica and Apollo. 2018. University of Tromsø. Space, the Final Heritage Frontier. ICOMOS UK, Annual Christmas Lecture.